The Canadian Cancer Survivor Network (CCSN) is a national network of patients, families, survivors, friends, community partners, funders and sponsors who have come together to take action to promote the very best standards of care, whether it be early diagnosis, timely treatment and follow-up care, support for cancer patients, or issues related to survivorship or quality of end of life care. The Canadian Cancer Survivor Network is offering a series of educational webinars designed to give you information to help you become an effective advocate. 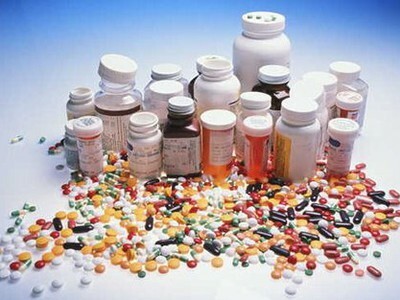 Our next webinar is entitled “Interprovincial bulk purchasing of drugs – what you need to know.” The webinar will be hosted by Bill Dempster, a seasoned health policy and government relations strategist, of 3Sixty Public Affairs. provincial medicine purchasing strategies have two separate focuses: regulated price reductions for generic drugs, and negotiated confidential prices for innovative “brand” drugs? governments have completed negotiations on over a dozen innovative medicines – including cancer treatments – and implemented price drops on six generic drugs? the provincial governments have hired a consultant to engage with stakeholders on policies and processes over the coming months? Together we will discuss the potential impacts of these evolving policies on patient access to medicines, along with other issues, including health system sustainability, government budgets and health research investments. We will also go over a number of key questions patients might have as provinces undertake consultations in the fall. As CEO of 3Sixty Public Affairs, Bill Dempster helps health charities, businesses and associations understand health policy and effectively engage with governments. He applies a deep business, health policy, legal and government experience to find mutually beneficial solutions to complex problems. Over the past decade, Bill has built and managed teams of consultants on a national scale. His previous experience includes working for a Member of Parliament, the United Nations and major Canadian law firms. Bill is fluently bilingual, and has degrees in history (King's College, University of Western Ontario), law (Queen's University), and a Masters of Arts in international affairs (Norman Paterson School of International Affairs, Carleton University). He was called to the Bar of Ontario in 2002. Please note that this webinar is being held on Wednesday, September 11 at 3 PM EST. To participate, you will need to register by first sending an email to jmanthorne@survivornet.ca. CCSN will then email you the link for participating in the webinar and login instructions. The CCSN educational series is of interest to patients, survivors, family, friends, caregivers, and any member of the community interested in the best possible care and follow-up for cancer patients and survivors. The impact of training followed by volunteering and taking positive action to effect change are important elements in the transition to post-treatment life. 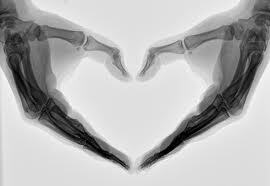 Bone health is a vital part of the health of women and men with advanced breast and prostate cancer. When breast and prostate cancer spread, the place to which they are most likely to spread is the bone. Bone complications in advanced cancer are a serious challenge, yet many people are unaware of this health issue. We’d like to invite you to join other prostate and breast cancer survivors who have come together to shine a light on the importance of bone health in advanced cancer. We’re looking for women and men living in Ontario, Alberta and British Columbia who have or have had breast cancer or prostate cancer to help us advocate for others about bone health in advanced cancer. We hope that you will help us make a difference for the men and women affected by advanced cancer that has spread to the bone. Will you join us in our efforts? Please phone Jackie Manthorne at 613-898-1871 or email jmanthorne@survivornet.ca to learn more about how you can get involved in this campaign. Learn more about bone health in cancer and hear survivors stories bonehealthincancer.ca. We would like to thank everyone who took the time to complete our recent survey to help the Canadian Cancer Survivor Network better understand some of the issues that cancer survivors face when they have completed their treatment. We are pleased to announce that 134 cancer patients and survivors participated in our survey, thus helping CCSN to shape messages for its upcoming education and awareness efforts aimed at improving the lives of cancer survivors. We will be sharing results of this survey in an upcoming eletter, so stay tuned! Canadian Cancer Survivor Network moving on up! CCSN has moved – but not very far. At the end of June, we moved within our building at 1750 Courtwood Crescent, Ottawa K2C 2B5, from Suite 111, to Suite 210. Our phone number - 613-898-1871 - and all other contact information remains the same. Please note the change for your records. Our Voice - Living with Prostate Cancer magazine recently reported on a survey initiated by the Canadian Cancer Survivor Network on the involvement of patients and survivors in volunteer advocacy. Survey results showed that patients and survivors felt more hopeful, useful and effective after tackling everything from issues related to better screening, faster diagnosis, equitable access to treatment and medication, help for financial distress and more. Patients and survivors acted as spokespersons in media interviews, visited elected officials and wrote letters to decision makers in hospitals, cancer centres or other healthcare facilities about an important issue. Two-thirds of patients reported feeling that their advocacy activities resulted in better medical treatment for others, and patients reported feeling prouder, more useful, effective and powerful. The survey, launched in spring 2013 by the Canadian Cancer Survivoer Network, was completed by 51 people and included cancer patients, survivors, caregivers and family members. You can read the article on the survey in Our Voice at www.ourvoiceinprostatehealth.com . You can also access the survey results at http://www.slideshare.net/jackiemanthorne/the-involvement-of-patients-and-survivors-in-volunteer-advocacy-survey . Our Voice, a magazine for those living with prostate cancer in Canada, featured the CCSN survey results in their Vol. 18 No 2 - 2013 issue. Our Voice is issued four times a year at www.ourvoiceinprostatehealth.com, where you can view the digital edition, subscribe to the print edition ($19.95 a year) and find added features. According to the World Health Organization, about 125 million people in the world are exposed to asbestos in the workplace. The WHO estimates that more than 107,000 people die each year from asbestos-related lung cancer, mesothelioma and asbestosis resulting from occupational exposure (http://www.who.int). CCSN is continuing to build its asbestos, mesothelioma and lung cancer section on our website. Completed sections can be found at http://survivornet.ca/en/cancer_issues/asbestos_mesothelioma_and_lung_cancer. 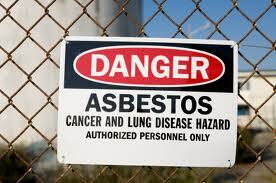 They include The ABCs of Asbestos; Asbestos and asbestos-related diseases; and Asbestos explosure. Listings of organizations in Canada and globally that provide information and resources about asbestos and mesothelioma. An online Patient Advocate Centre relating to asbestos and mesothelioma. And join our Asbestos & Mesothelioma Advisory Council and help us create this website section! Contact Jackie Manthorne, CCSN President & CEO, at jmanthorne@survivornet.ca . CCSN's new microsite on bone health a first! CCSN's bone health awareness microsite www.bonehealthincancer.ca was launched on National Cancer Survivor Day. This new site provides information about bone health in advanced breast cancer and in advanced prostate cancer and is the only one on this subject in Canada. The site contains photos about our bone health campaign launches in Toronto, Calgary and Vancouver as well as recipes and more! Over a dozen breast cancer patients and survivors were among the first to join CCSN’s Breast Cancer Advisory Council! This committee will meet by teleconference and confer regularly by email to improve diagnosis, treatment and survivorship. 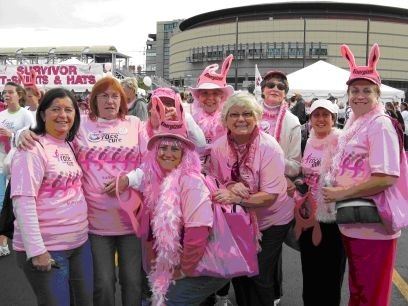 Breast cancer patients, survivors and family members are invited to join. Terms of reference for this Council will be sent to those who contact CCSN President and CEO Jackie Manthorne at jmanthorne@survivornet.ca . 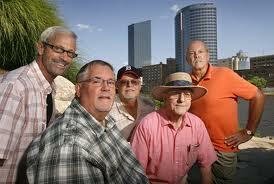 CCSN’s Prostate Cancer Advisory Council prepares for an exciting fall! The good news is that more than a dozen prostate cancer patients, survivors and family members have already become members of our Prostate Cancer Advisory Council, and we invite you to join them as we gear up for the fall and some exciting new projects! The Advisory Council will meet by teleconference and confer regularly by email to improve diagnosis, treatment and survivorship. Terms of reference for this Committee will be sent to those who contact CCSN President & CEO Jackie Manthorne at jmanthorne@survivornet.ca . The Canadian Cancer Survivor Network has produced three videos on chemo-induced nausea and vomiting. Check them out here! This eletter will be published once a month. Occasional alerts may also be sent. You are receiving this newsletter because you subscribed to it. If you are no longer interested in receiving it, please click below to unsubscribe. If you received this eletter from a friend or colleague, you can subscribe by sending a message to info@survivornet.ca or by going to the front page of our website at www.survivornet.ca and signing up. News and involvement opportunities are always being added.